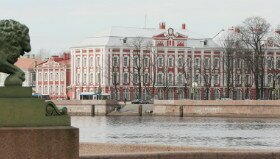 We are pleased to announce that INSCI 2018 will take place at St. Petersburg, organized by St. Petersburg State University (SpBSU) - the Media and Communication Department in cooperation with the Applied Mathematics Department. 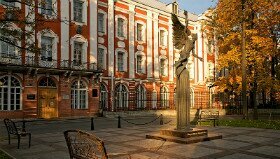 St. Petersburg State University (SpBSU) is the oldest university in Russia founded almost three hundred years ago, in 1724. In the last hundred years, it has been home for leading research and nine Nobel prize winners. Its location in the heart of St.Petersburg, the imperial capital of Russia, naturally leads to rich cultural and historic surroundings for academic studies; the attractions closest to the University include the State Hermitage (#3 in the world by the volume of art collections), the first Russian museum of Kunstkamera, and the Peter and Paul fortress from where the city started. Today, the university comprises over 20 schools and faculties, with 6,000 professors from academy and industry teaching to 30,000 students in three campuses. The three pillars of SPbU are dynamics and multi-disciplinarity, international co-operation, and the ‘open university’ policy. In 2010s, the university has created a new breed of laboratories and resource centers with apparata and technologies available for the scholars from various fields. This has already led to the growth of internationally recognized labs, like the ones for cognitive linguistics, genome reconstruction, or modeling of political processes. The Center of International Media Research is a newly created research unit that accumulates the efforts of faculties of journalism and mass communication, applied mathematics and control processes, and political science. Today, its main focus is mixed-method social media research in cross-national perspective. It is located in the School of Journalism and Mass Communication which will, in collaboration with other schools, host INSCI in 2018.